FIRST: The Second Amendment protects an individual right that existed before the creation of any government. The Declaration of Independence made clear that all human beings are endowed with certain unalienable rights, and that governments are created to protect those rights. 3. Roman Catholic Doctrine: Christian doctrine has long asserted the right and duty of self defense. “Someone who defends his life is not guilty of murder even if he is forced to deal his aggressor a lethal blow.” See Catechism of the Catholic Church 1994, sections 2263-65 (citing and quoting Thomas Aquinas). 4. Protestant Doctrine: Individual has personal and unalienable right to self-defense, even against government. Samuel Rutherford, Lex, Rex 1982, pp. 159-166, 183-185 (Sprinkle Publications edition.) Jesus advised his disciples to arm themselves in view of likely persecution. Luke 22:36. B. John Locke’s Second Treatise of Government (1690) aimed at reforming Britain’s monarchy and parliamentary system and limiting the power of government, and profoundly influenced the Founders and all Western Civilization. John Locke explained that civil government properly exists to more effectively protect the rights that all individuals have in the “state of nature.” The individuals have the rights to life, liberty, and property. They give civil government the power over themselves only to the extent that it better protects those rights. Thomas Jefferson, author of the Declaration of Independence, specifically declared that the ideas of John Locke’s Second Treatise were “generally approved by the citizens of the United States.”Jefferson mandated that Locke’s Second Treatise be taught in the University of Virginia. C. Christian religious thinkers, such as Samuel Rutherford (in Lex, Rex, 1644) argued that man’s rights come from G-d. Using Biblical principles and examples, they argued against the notion that kings ruled by divine right. To be legitimate authorities, all governments must uphold man’s rights and do justice. Otherwise, the people owe a lawless and tyrannical ruler no allegiance at all. F. The United States Supreme Court, in United States v. Verdugo-Urquidez, indicated that the word “people” in the Second Amendment referred to individuals, not to states. [494 U.S. 259 (1990)] (This was not a holding or ruling of law, but an observation by the Court). SECOND: The language of the Second Amendment prohibits the federal government from “infringing” on this right of the people. There is nothing ambiguous about “shall not be infringed.” (See Webster’s New Universal Unabridged Dictionary, 2d ed.1983, p. 941.) The language of the Second Amendment is about as clear as the First Amendment’s prohibiting Congress from infringing the right to freedom of speech, press, and religious expression. There is no logical reason to read the Second Amendment as a weak statement, while treating the First Amendment as a strong protector of rights. A. The Second Amendment protects a fundamental right and should be read broadly because it implements the right of self-defense. Self-defense is the ultimate right of all individuals to preserve life. The rights to a free press, free speech, assembly, and religion are extremely important — but none of them matters very much if you can’t defend your own life against aggression. None of them matters very much when an evil government is fully armed and its citizens are disarmed. 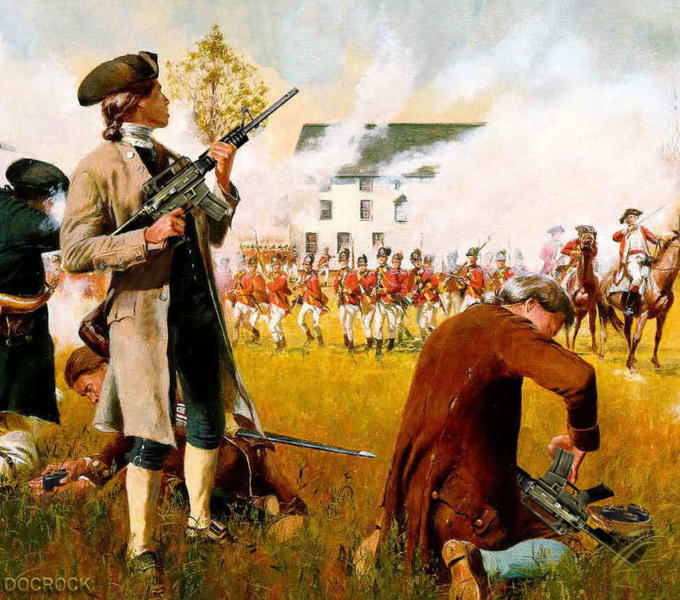 THIRD: The Second Amendment refers to “a well-regulated militia.”The right of the people to form citizen militias was unquestioned by the Founders. E. The Federalists promised that state governments and citizen militias would exist to make sure the federal military never became large or oppressive. To say that the National Guard replaces the notion of the militia runs contrary to what the Founders said and wrote. F. The Third Amendment: Expressly restrains the federal government from building a standing army and infiltrating it among the people ...and at the people’s expense ... in times of peace. The Third Amendment runs against the idea of a permanent standing army or federalized National Guard in principle, if not by its words. FOURTH: The Second Amendment begins with the phrase “A well-regulated militia being necessary to the security of a free State.” Some people argue that this phrase limits the right to keep and bear arms to militias only ... which they say means the National Guard. Very recent research shows, however, that it was the style of writing legal documents in the late 1700’s to include a preamble. The Constitution has a preamble, the Bill of Rights has a preamble — yet people don’t argue that the Constitution is limited by the preamble. Professor Eugene Volokh at the UCLA Law School has examined numerous other state constitutions of the same general time period, and observed this kind of preamble language in many of them. (The Commonplace Second Amendment, 73 N.Y. Univ. Law Rev. 793-821 (1998)). The preamble states a purpose, not a limitation on the language in these government charters. New Hampshire’s Constitution in 1784 also contained a detailed preamble and explanation of purpose for its right to a criminal trial in the vicinity where the crime occurred. The Massachusetts Constitution of 1780, the 1784 New Hampshire Constitution and the 1786 Vermont Constitution, all contained preambles or explanations of the right of freedom of speech and debate in the state legislatures. The New Hampshire Constitution also gave an explanation, right in the text, for why there should be no ex post facto laws. B. The Second Amendment falls right within the style of legal drafting of the late 1700’s. The “militia” clause emphasizes the individual right to keep and bear arms by explaining one of its most important purposes. The militia clause does not limit the right. B. The Second Amendment was designed by people who did not want to become slaves to their government, but they were unfortunately and tragically willing to permit private slavery in some states. Now that slavery is abolished, however, all citizens of all races should enjoy the Second Amendment’s legal protection against despotic government. B. In contrast, even under the U.S. v. Miller case, the Second Amendment protects the individual right to keep and bear military firearms. 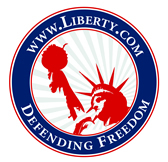 Learn how the federal courts deceptively and misleadingly employed the Miller decision to deny the individual right to keep and bear arms in Barnett, Can the Simple Cite Be Trusted? : Lower Court Interpretations of United States v. Miller and the Second Amendment, 26 Cumberland Law Review 961-1004 (1996). C. A federal judge recently struck down a federal “gun control” statute as unconstitutional in United States v. Emerson, 46 F. Supp. 2d 598 (N.D. Tex. 1999). In his scholarly written opinion, District Judge Cummings exten-sively reviewed the law and historical foundations of the Second Amendment to conclude that the right to keep and bear arms protected by the Second Amendment is an individual right. The Emerson decision remains pending an appeal in the Fifth Circuit as of this date. Before a government can become a full-blown tyranny, the government must first disarm its citizens. The Founders of this nation, from their own experience, knew that when government goes bad, liberty evaporates and people die ... unless the people are armed.